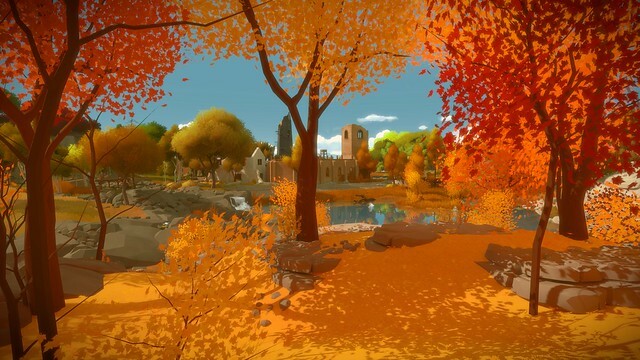 The Witness is an exploration-puzzle game. It will be released on the PC and the PlayStation 4 on January 26, 2016. The game will come to iOS some months after that, and other platforms a bit later. This is the game Johnathan Blow has been working on ever since he finished Braid 8 years ago. Looks to be something special. A lot of people have been asking about preorders too. Preorders will go live on Steam and the Humble Store (and on this web site) today at noon PST. Unfortunately we won’t have preorders on PSN, because apparently developers have to set those up months in advance and we didn’t know that! The preorders are regular price! They contain an amazing bonus pack-in: the warm fuzzy feeling that you have pre-ordered the game. (And that’s all). So it’s exactly the same as buying the game at launch, except earlier. I'm buying this as soon as I have my PS4 set up in my new house. Can't wait! 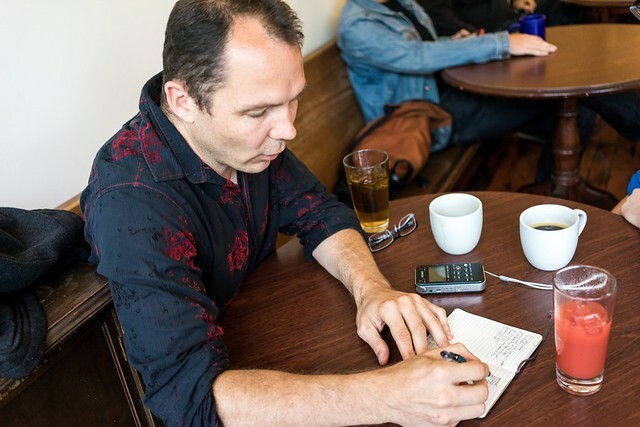 I met with Jonathan Blow on a misty Monday evening in an unassuming San Francisco cafe. He was in exceptionally high spirits, but why wouldn’t he be? The rest of the world didn’t know it yet, but he was about to reveal a new trailer and a release date for The Witness: a passion project in which he has invested not only the last five years, but the entirety of the small fortune he earned via the success of his 2008 breakthrough Braid. I spent the two weeks leading up to our meeting by playing through and completing the game itself — an alpha build that didn’t have all its final tweaks in place, but was dubbed content-complete. 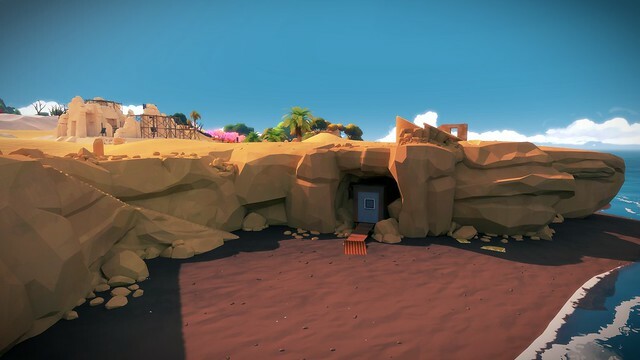 The Witness presents different kinds of trials than players might be used to: there are no tutorials or tooltips, it doesn’t give hints, and it never holds the player’s hand. On this island, the player’s intelligence is not only respected, but tested and challenged regularly. “At some point it’s just in there so deep that you don’t see it anymore. That’s how these games are for me. 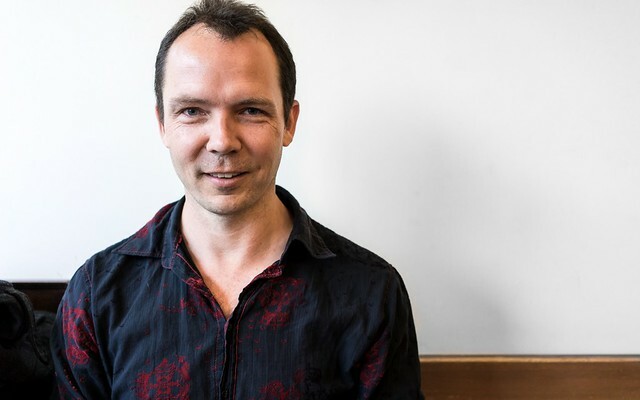 Braid was a smaller, simpler game — there are one or two explicit feelings in Braid that were new when I started working on it. That feeling of scrubbing time back and forth and having that degree of manipulation over things, that probably went through my head a lot while I was working on the game, then at some point it was just internalized. I raise my camera to snap a candid photo of Jon — but he’s too quick, flashing a quick grin before I press the shutter. 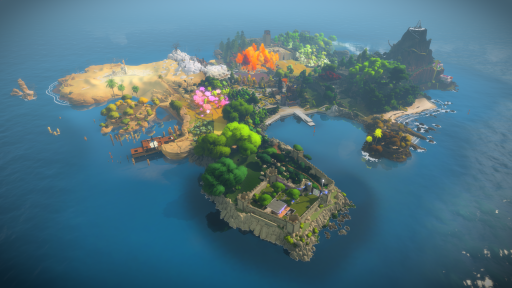 The simple, sometimes obvious beauty of The Witness’ unexpectedly massive island belies scores of complex, sometimes seemingly insurmountable puzzles. I played for 50 hours and finished the game, but I’ve only scratched the surface of this island’s deepest secrets. Jonathan estimates, in fact, that players can expect around 100 hours of playtime in order to achieve 100% completion. This is not an experience to be taken lightly. The art direction in The Witness is especially noteworthy. Eschewing photorealism in favor of high-contrast, vibrant colors, its visual design plays into the game in meaningful and deliberate ways. “Myst is definitely an inspiration in terms of the mood. There’s something a little intangible about it. Obviously the setting is very similar — there’s an island, you’re alone on it, and there are puzzles. From day one I was like ‘Okay, we’re doing Myst, but with modern design sensibilities.’ There have been lots of Myst-like games in the past, but I don’t think I’ve ever played an homage to Myst. “At some point, though, The Witness becomes its own thing. Sure, you’re on this island, but the island is way bigger than the Myst island, and it feels different. I actually take a lot of adventure game things that happen from the Myst era as anti-examples: you’re never going to enter a room where there’s a machine with a bunch of buttons, you don’t know what they do, some of them aren’t even interactive because they’re part of the background, and you just click around until something moves. That was very common in those days, but from day one we decided we’re not doing that. Indeed, The Witness does evoke memories of its genre’s forebear, but it doesn’t take long to start forging its own path. The island never stops being mysterious, but the more you explore the more you will begin to understand the way things are designed, to predict how a set of puzzles might play out and evolve. 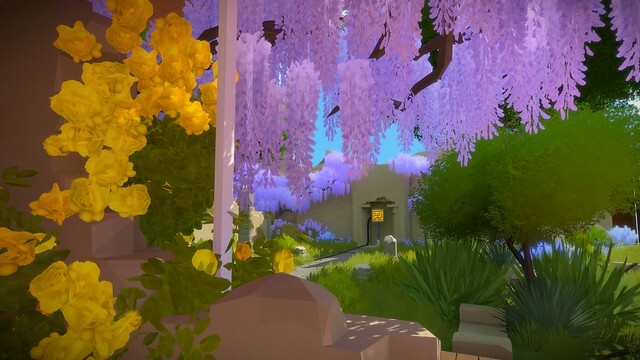 The Witness is a subconscious relationship between creator and player; a piece of symbiotic art. It is a message — not a phrase or passage to be communicated, pondered and forgotten, but the seed of an idea meant to grow over days, or even weeks, ultimately bringing its audience closer to its architects. Talking about the design of one of The Witness’ particular sets of puzzles, Jon takes a moment to sketch out his thought process in my notebook. “It’s so big and complicated… they can take away what they want, honestly. The design of the game is about giving people the freedom to approach it in their own way. I’ve spoken of some thematic things and what the game is about, and to what degree people get that will differ from person to person, and that’s totally cool. Which types of puzzles people like is going to be different, and that’s totally cool. “But I do think there is a certain flavor the game has that will come across to most people most of the time, and that’s pretty interesting. It’s hard for me to verbalize what that is — it’s something about the non-verbal communication and exploring the world freely, and having this experience of epiphany over and over where you go from not understanding to understanding, repeated over and over. “I want to make the best game that I can possibly make, which probably means not rushing it, right? Rushing it almost never makes things better. But speaking from a financial standpoint, there are all kinds of games released that had really cool ideas, but they couldn’t get them all done within their timeframe or budget. If you really want to differentiate yourself and be a game that people want to play, one way to do it is to just stick to your guns, push hard and get everything done that you originally thought. When asked whether he felt that he and his team had accomplished this goal, he seemed confident. Probably my most anticipated game of the year. Yeah, that one has your name all over it. Be sure to post your thoughts next week. Looks good. I'll get this at some point. Had no clue what this wasn't until I saw that IGN review. Getting it for sure now. Decided to buy it this morning and goddammit if I'm not already stumped. The Witness is out now. I’ve played and finished Jonathan Blow’s eight-year opus (twice! ), but I still haven’t discovered all of its deepest secrets. I’d advise anyone playing The Witness to go in as blind as possible, but having become relatively knowledgeable about the game I’ve come up with six pieces of advice I’d like to share with you. These tips will not spoil anything about the game’s story, locations, mechanics or secrets. Rather, they’re simply things I wish I had known when I first started playing. Enjoy! You’re gonna need it. Sure, you might be able to solve most of The Witness’ puzzles in your head, or by workshopping ideas directly on the panel you’re working on, but there are a number of challenges that will be very, very difficult to solve without a pen and paper for anyone with an IQ under 150. Building off the last point, there are lots of things you’re going to see in The Witness whose function may not be immediately apparent. As luck would have it, PS4 has a built-in screenshot button! Take lots of notes, not only with that graph paper I mentioned above but in the form of visual reminders you can refer back to when you inevitably experience one of those “wait a minute…” moments. (Or a very good sound system.) 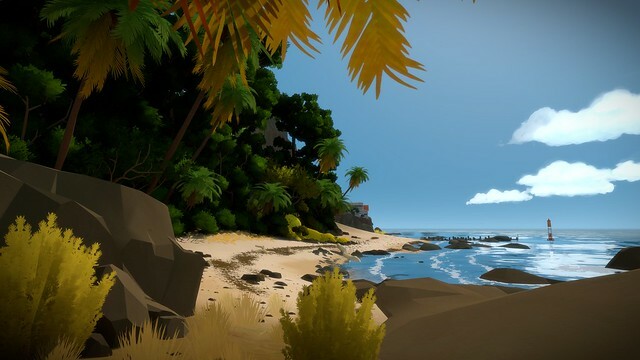 There may be no music in The Witness, but its sound design is some of the best in the business. Not only does the game’s already-impressive sense of isolation really kick in when you’re enveloped by its top-notch ambience, certain sounds are subtle enough that you won’t even notice them without a nice, loud setup. You’re going to get stuck. I promise. 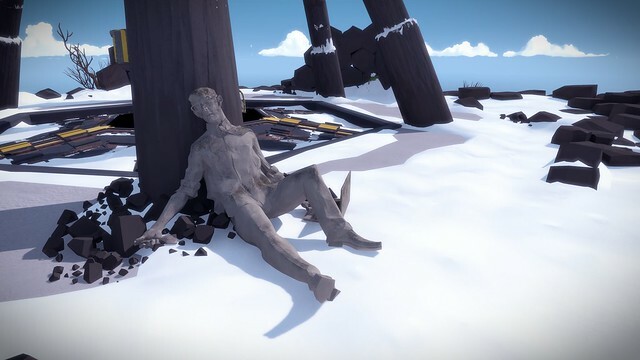 The difference here is that getting stuck in The Witness is okay, maybe even intended by its creators. Thankfully, since you have instant access to most of the island right from the get-go, you’re never trapped in any sort of linear progression system. Feel free to give up on a particularly challenging puzzle and explore elsewhere for a while — chances are something you do somewhere else will make that missing solution *click* into place. If all else fails, simply coming back to it with a set of fresh eyes will likely help. Finally, you don’t need to complete every puzzle in the game to reach its conclusion, so if one’s got you well and truly stumped, don’t feel like you’re reached a dead end. This one’s going to be tough, but please do everything you can to avoid spoilers for The Witness, including solutions to puzzles or explanations of mechanics. So much of The Witness’ magic lies in the sense of discovery and accomplishment that you experience when finding a new area, solving a puzzle you thought for sure was impossible, or finally activating one of those weird laser beam things. Like I said before, you’re going to get stuck. You’re going to want to look up the answer, “maybe just for this one puzzle” to keep things moving along. Don’t do it. 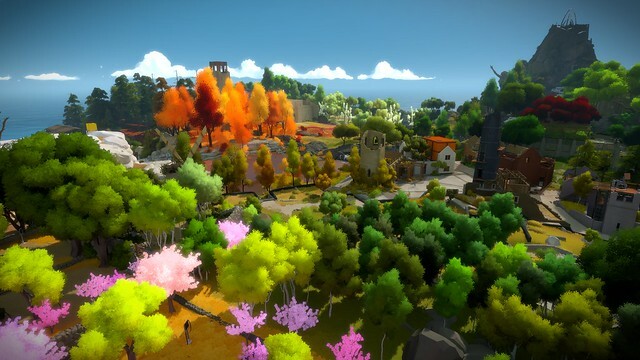 You’re only going to be able to experience The Witness for the first time once. I bought Braid when it came out but just found out about this game today. Feels good to not have had to "wait for it" in that sense, looking forward to getting it today. I really, really want this but I'm trying to keep myself from spending 40 bucks for a download game and wait for a disc release. Is a physical release on the horizon? No. At least none announced. This really looks like a $20 game to me. $40 to walk around mazes? I don't care how pretty they are. No ... just, no. This game and Bloodborne are the only reasons that I want a PS4. I really enjoyed Braid, but I feel like a Myst type of game in this day would drive me nuts. Or I wouldn't be able to help myself and just look at solutions online. It was said that it is possible but would be after the game is released digitally. It seems a little pricey. If there's another "Spend $100, Get $15 Back" sort of deal I might jump on it though. Either that or at first sale. I can wait a bit, but I will get it this year at some point. It is the type of gameplay and being digital only that keeps me away at 40 bucks. Disc at 32 bucks after GCU and I'm in. It's really really good. Instead of following the logical path I've been playing it like an open world RPG in the sense that I'm all "OOOHhhh a mountain! Must climb it!" This has lead me to some pretty difficult panels, and quite a few that made zero sense. I loved Braid, but was a bit skeptical about this game. Drawing lines through grids? Really? But damn, the number of mechanics and "rules" present within the puzzles is staggering. It's great seeing a fairly simple concept just pushed to the absolute limit. Very tempted to get this, but It looks like the kind of game where I'm going to have to youtube my way through it. If you really like puzzle games and "walking simulators" than this game is amazing, but otherwise I think $40 is too steep. The "x number of game hours" is misleading because it not only depends on the player's proficiency at solving puzzles and also their interest in exploring/finding hidden stuff. The majority of those "game hours" are collectible/hidden object gathering stuff that many players have no interest in.